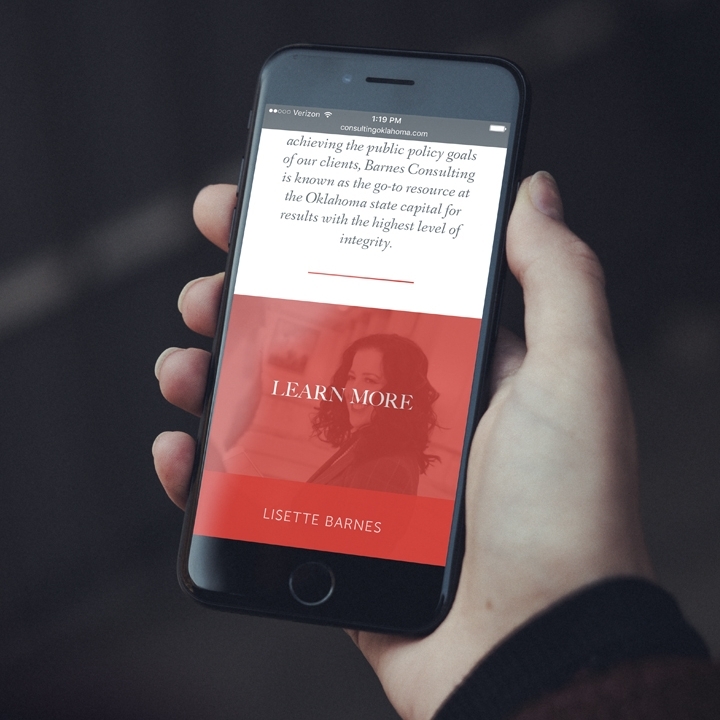 Political and business consultant Lisette Barnes came to us with 25 years of experience working within the halls of the Oklahoma state capitol and needed a fresh brand and web experience to fully articulate what she brings to the table for clients local and national. Her previous logo mark contained an image of the state capitol dome, and we wanted her new brand to feel like a natural evolution. During our research phase, we discovered eight statues of winged lions surround the Oklahoma capitol building, inspiring us to design a unique mark featuring a winged lion, with a B (for “Barnes,” of course) tucked into the wing. We built a modern brand with classical elements to acknowledge Lisette’s experience alongside her forward-thinking approach. We equipped her with a stationery suite that reflects Barnes Consulting’s elevated product. The business card features a 2 color foil emboss on a double thick sheet. 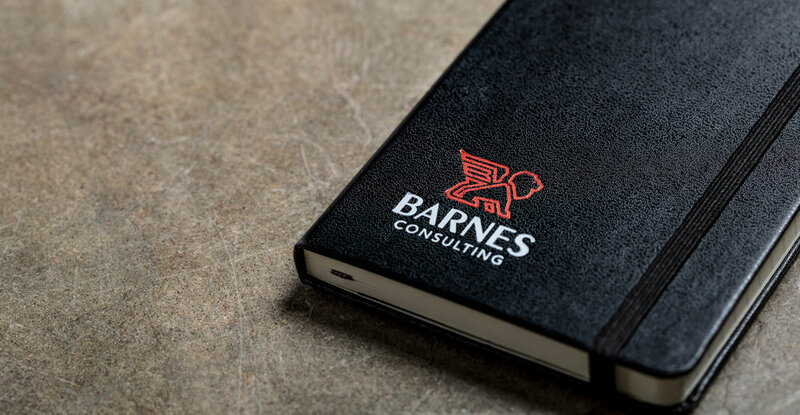 We also designed notebooks for Barnes Consulting to share with elite-level clients.